In Boston, former storm chasing friends, widowed Joe Randall, a former Harvard professor and now a high school science teacher, and Lee Carlton, a weekend television backup weatherman, have lost touch with each other out of personal circumstance. They are reunited when Lee, who has always been in love unrequitedly with Joe's police officer sister, Maddy, pieces together what looks to be a meteorite crashing into a residential Boston neighborhood to a non-forecasted water spout reported off the coast, that meteorite which in actuality is Plymouth Rock and which was thrown close to hundred miles from what must have been the tremendous force of the water spout. 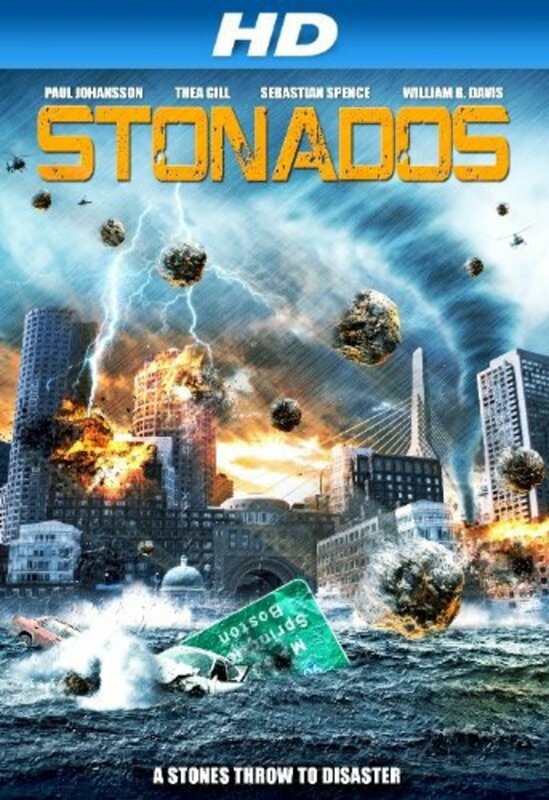 They later receive visual confirmation not only of the extreme force of one of these water spouts which hurl boulders - thus what they coin "stonados" - but that they form without warning and disappear just as quickly. They also learn that the boulders that develop within the spout itself are not just normal geological formations. 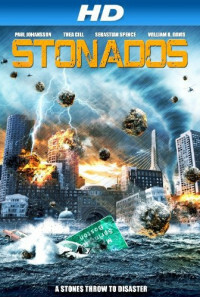 Joe and Lee believe they know the reason these stonados are occurring and that they can be predicted, they having to find conclusive evidence that their theory is accurate, and if they can stop them from happening. In protecting the public from these potentially devastating occurrences, they have to convince Tara Laykin at the Federal Oceanic Agency (FOA) that these are not freak one off occurrences. This work becomes all the more important for Joe in protecting his children, teenager Megan and preteen Jackson, Megan in particular who is at a stage in her life where she and her father are constantly butting heads, especially as they adjust to their life without Joe's now deceased wife. Regions are unavailable for this movie. Click the "Watch on Netflix" button to find out if Stonados is playing in your country.